Everyone spends way to much time trying to decide what to get for lunch. Not to mention, we spend way too much money on going out to eat daily, AND fast food really doesn’t taste that good. So, dump fast food and spending loads of money on terrible food. 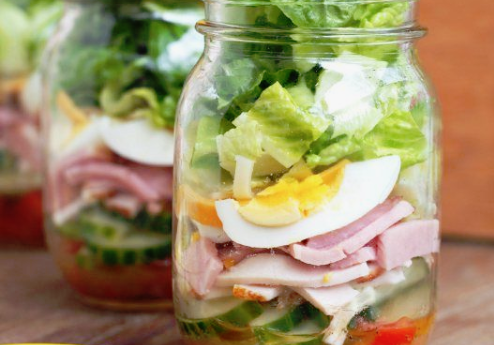 Instead try these cheap, healthy, easy lunch ideas. Best part~ very little prep time. Pasta Salad: Cook the pasta as package suggests. Drain. Stir in tomatoes, beans, corn, cheese, onion, and cilantro then add dressing. Suggestion: Dish out the pasta salad, but don’t stir in the dressing till that day or right before eating. Enjoy a tasty lunch and more money in the bank! Dipping Sauce: Whisk chili sauce, rice vinegar and sriracha sauce all together. Set aside. Combine the shredded coleslaw, cilantro, and basil together. Next, place half the lunch meat, cucumber, and coleslaw on a rice paper. Roll up paper and it’s ready to eat. Serve with the dipping sauce and enjoy this delicious lunch! Next, hard veggies like: carrots, cucumbers, bell peppers, broccoli, etc. 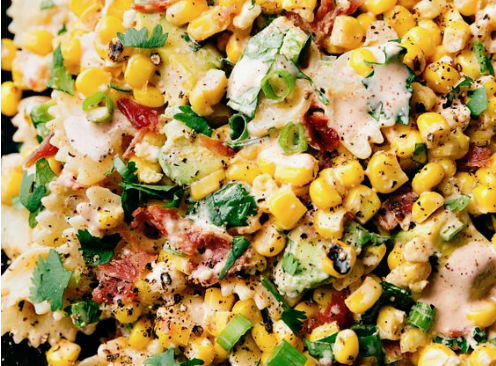 Soft veggies like: tomatoes, onions, avocados, corn, etc. Now for the protein: meat, cheese, eggs, bean, etc. Lastly greens: lettuce, spinach, etc. Create your own or stick to an original like cobb, mexican, mediterranean it’s totally up to you! 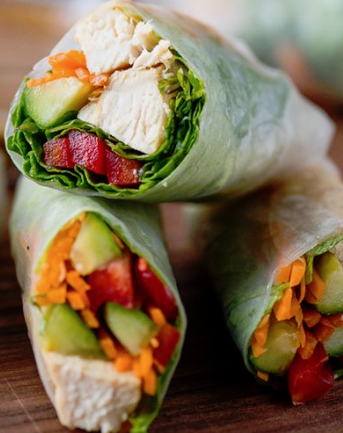 Hopefully, these three cheap, healthy lunch ideas will satisfy your hunger and help you save up for something special!